Oh my gosh – it’s January and nutrition and diet info is everywhere! Everyone has heard (and maybe lived through) the intense focus on how much you eat, especially carbs. This has gotten way too much attention because while this does affect your weight and energy level, it’s certainly not the “holy grail” of health. You can certainly still continue to count your calories, but don’t forget to also pay attention to what that calorie is coming from. If we go back to the basics, it’s understand we need to minimize processed foods (i.e. fewer “packaged” “ready-to-eat” foods). This simple concept is paramount for weight loss, energy, and overall health and wellness. But let’s go a bit deeper on the carb controversy, it’s not the calories from carbs that matter, as much as the type of carb. You see whole food, slow digesting carbs are full of fibre, nutrients and boost energy, health and weight loss. ‘Slow Carbs’: A colourful array of whole food veggies at almost every meal and snack, with the odd piece of fruit. You need the fiber, antioxidants, vitamins, and minerals. Condiment with healthy fats and oils. There is a reason some fatty acids are called “essential” – you need them as building blocks for your hormones and brain as well as to be able to absorb essential fat-soluble vitamins from your uber-healthy salads. Use extra virgin olive oil and coconut oil, eat your organic egg yolks, and get grass-fed meats when possible. You don’t need to overdo it here. Just make sure you’re getting some high-quality fats. Are you rushed, not properly chewing your food, and possibly suffering from gastrointestinal issues? Do you drink your food all day long? This can also help with weight loss because eating slower often means eating less. Did you know that most attempts to change eating habits fail due to emotion and stress coming in and taking over? Of course you did – it’s happened to all of us! So being mindful and managing our stress has a huge impact on how we eat and absorb our food. 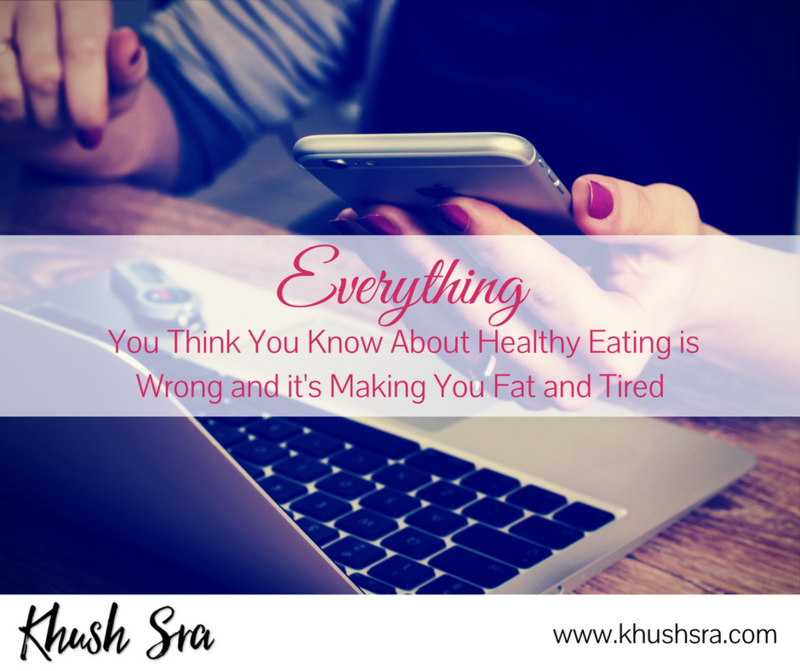 Especially when we are rushed or our minds are not paying attention to what we are eating. How often did you even forget what you had for breakfast or lunch? Don’t get me wrong a green smoothie can make an amazingly nutrient-dense meal and is way better than stopping for convenient junk food – just consider a large smoothie to be a full meal not a snack. And don’t gulp it down too fast. Always remember to chew that smoothie! If your smoothies don’t fill you up like a full meal does try adding in a spoon of fiber like ground flax or chia seeds. It’s will keep you regular also. Consider not only how much you eat but also what and how you eat it. Sticking to the basics of whole food, chewing our food and mindful eating are 3 ways to simply your New Year’s goals of eating healthier. And if you haven’t already sign up for my New Year 5 Day Rebalance Challenge, because we all know it’s more than just what’s on your plate that matters!